The Beachwood College Football Report Postseason Recap and Bowl Season Predictions, lovingly known as the BCFRPRBSP around the office, is back. We will ease into Part One below, with a brief roundup of some notable (and not-so-notable) recent news. But the real action is in our analysis of Bowl Season, beginning Saturday with the New Mexico Bowl. In October, the Atlantic published Taylor Branch's scathing indictment ("The Shame of College Sports") of big-time college athletics. Now all 25,000 words of his polemic are available as an expanded e-book, The Cartel. The College Football Report recommends Branch to anyone looking to understand the deep-seated issues in college sports, and the ripple effect of superconferences. But please note that the book is only available your iPad, Kindle, Nook, etc. Don't try to slip The Cartel in amidst the other goodies under the tree this holiday season - the book "must be read on an iOS device." Whatever that means. For those lacking a fancy e-book reader, Jeff MacGregor served up an old-fashioned column (in that it's published on that Stone Age technology, the Internet) on "football mythology" on ESPN.com this week for your online-reading pleasure. (Note: the article can be printed, assuming you can find any paper. And a printer.) If you think critiquing hero worship in college football sounds familiar, you're right - we wrote about it twice last season: bashing Nick Saban and Steve Spurrier. We criticized coaches like Spurrier for defending hare-brained decisions, blaming players and for hiding behind an impervious screen of "genius" play-calling. But MacGregor takes a big step further. He skewers football fans for our affection for a game that seems like a last bastion against "a universe ruined by human weakness" sold to us as a "builder of men," a myth we willfully embrace behind the "the curtain of our little theater of human delusion." MacGregor finds the root of the problem in the "cult of the coach" and positions his article against the backdrop of Joe Paterno et al. at Penn State. If you doubt his reasoning we have a book for you for you, also drawn from the College Football Report Recommended Reading List (the CFRRRL, if you will): Margaret Heffernan's Willful Blindness: Why We Ignore the Obvious at Our Peril. I know. Yikes, right? Then again, we won't blame you for grabbing some Cheetos and camping out in front of the TV for some mediocre bowl games this weekend. Totally understandable. We did not make up that headline. On Friday night, the Wisconsin-Whitewater Warhawks face off against the Mount Union Purple Raiders for the Division III championship in the Amos Alonzo Stagg Bowl. The two will meet in the title game for an unprecedented seventh consecutive time, having split the last six meetings. The Warhawks carry a 44-game winning streak into the match-up with their last loss back in 2008 against, who else, Mount Union. 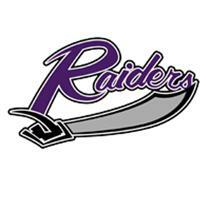 At press time, the College Football Report could not confirm a point spread for the game but we will take the Purple Raiders in a squeaker, 27-24. Comment: Wyoming has an even 6-6 record in bowl games, dating back to a 20-7 victory over the Washington & Lee Generals in 1951. W&L's motto is Non incautus futur, meaning "Not unmindful of the future," reportedly adapted from the family motto of Robert E. Lee: "Gettysburg . . . my bad." Also, take note: The Gildan New Mexico Bowl will be played in Albuquerque, which is in New Mexico. Comment: The Aggies and Bobcats bring an underwhelming 1-11 combined record into Boise on Saturday. Ohio coach Frank Solich, formerly of Nebraska, has the Bobcats in a third consecutive bowl but has come up empty in both prior games. Ohio has three 9-win seasons under Solich and a 26-14 record since 2009. We like Solich, despite being a bit long in the tooth (67), as a dark-horse candidate for a higher-echelon job next year if the Bobcats can pull out a W. Either that, or he will retire. It's pretty much 50-50 at this point. 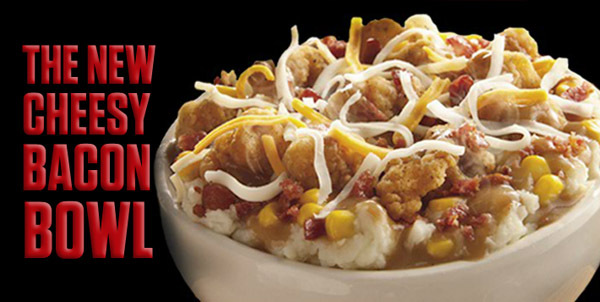 If you are looking for a culinary pairing to this matchup, the CFR recommends the KFC Cheesy Bacon Bowl, a heady blend of corn, crispy chicken, cheese, gravy, mashed potatoes (somewhere under there) and, now, for a limited time only at participating restaurants, bacon. Just look at it. You can't find more flavor for $3.99 and, better yet, you don't need to trouble with artery ramifications: As a limited time offer (LTO, in restaurant parlance), KFC is not obligated to publish the nutrition facts. Comment: Hey, we remember the Aztecs! We picked them to win the San Diego County Credit Union Poinsettia Bowl last year over the Navy Midshipmen. And they did (35-14), breaking a postseason winless streak that stretched back to 1969. Sweet. This year, the Aztecs square off against the Ragin' Cajuns, who use a little cayenne pepper in their logo instead of the apostrophe. Cute. Very Applebee's-esque. Go Aztecs. Also, take note: The R+L Carriers New Orleans Bowl will be played in New Orleans, which is in New Orleans. Comments welcome for a limited time only.